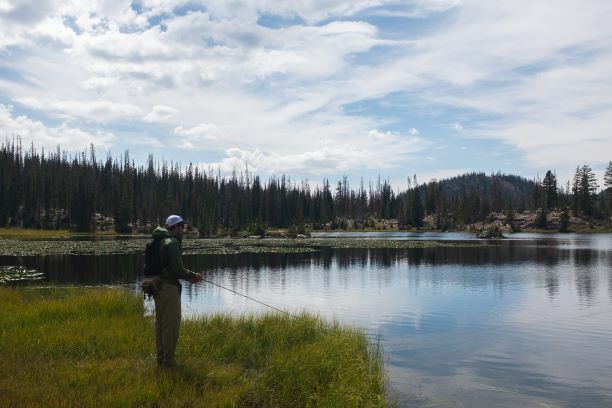 I’ll be the first to admit that I typically get caught up chasing big, dry fly sipping trout around and neglect more readily available fishing opportunities. Usually this time of year, I realize that and try to take a step back and relax. This weekend, instead of trying to cram a 5 day trip in to my two days off, we opted to take to dogs in to the High Uintas to chase some cooler weather and Brook Trout. Found both. ~60 degree temps and rain? I forgot weather like that exists in this state.